After almost a month long of traveling, I am back!! I’m so excited to get to blogging full time again and hit the road running. The time off was time well spent, I really needed it, and I’m thankful for all the friends I met along the way. You guys have seriously made my year. Thank you. Now, to the good stuff, denim details. 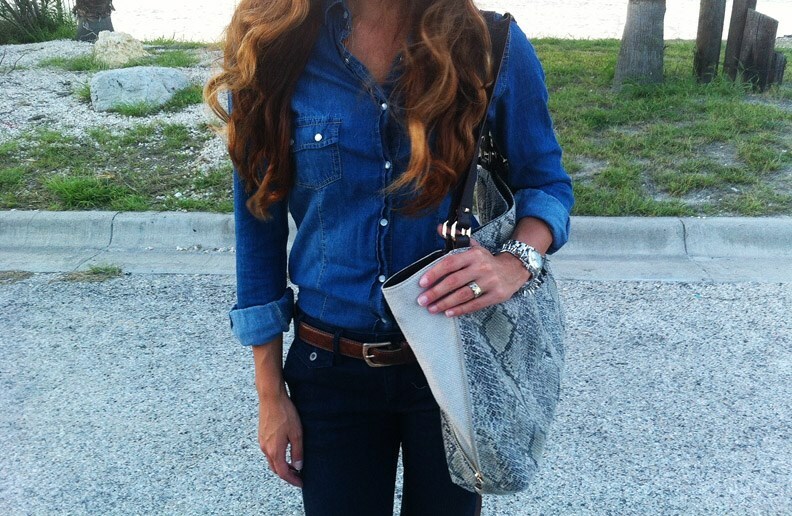 Denim on denim is one of those trends that translates so well into the seasons. It’s like monochromatic styling for texture, which I dig. What I like to keep in mind though when I’m wearing denim on denim, is proportion. Like any color/texture, going with the same fabric on top and bottom can make you look larger than you are, so it’s important to keep things balanced. I wanted to go with a more trouser style pant on the bottom, so since I’m petite, I opted for a more structured button-up on top to play off the wider legs of my pants. I tucked my top in and added a belt for line separation. I kept my accessories pretty neutral, and went with a basic pump. 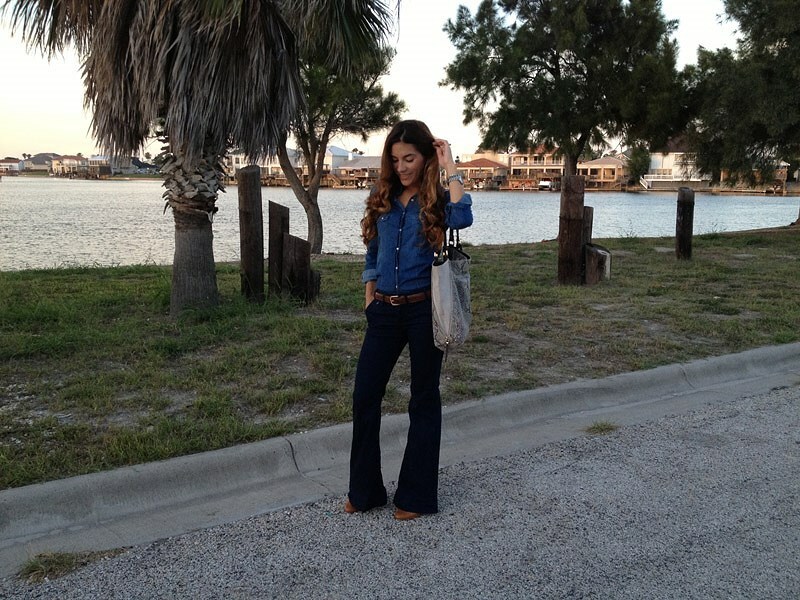 Try something like this or even a skinny or crop denim and maybe a more loose chambray top. This concept totally works for shorts too! 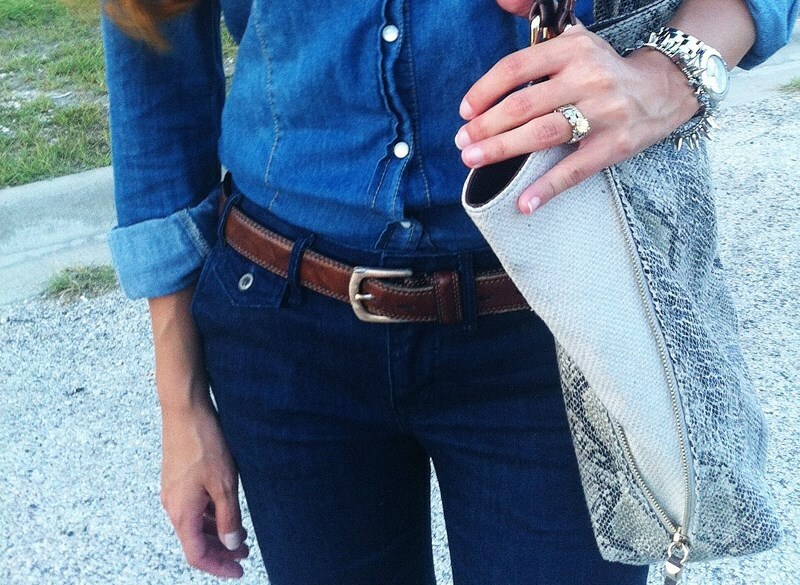 Either way, play with proportion, give denim on denim a try, and remember, always keep it simple.